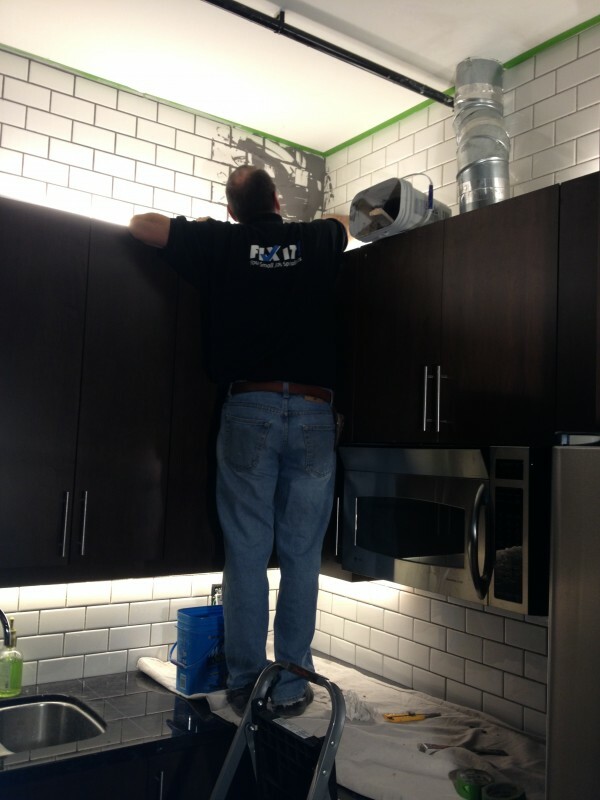 Taking Subway Tiles To A Whole New Level | Fix It! 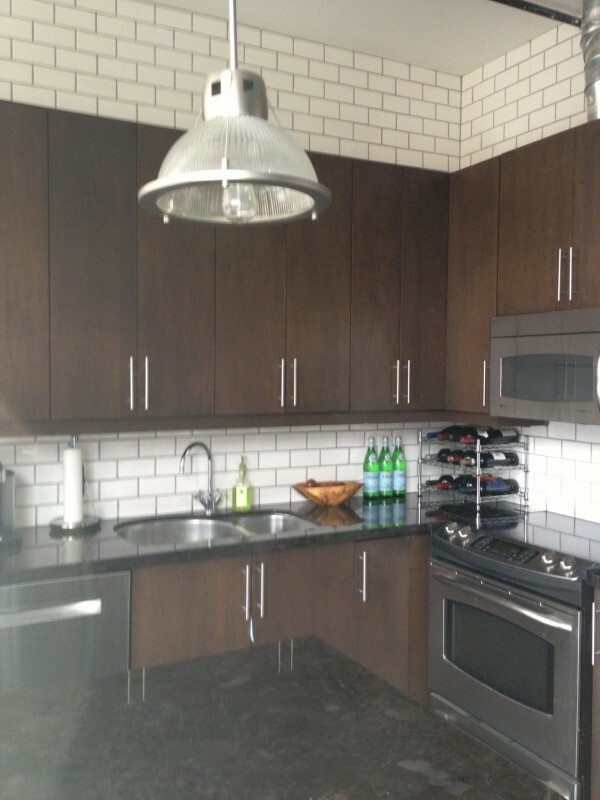 One of our clients asked us to change her glass-tiled backsplash to subway tiles for a more urban chic look. Traditional subway tiles generally use very little grout; they almost click together like hardwood flooring to give the look of a solid wall of ceramic tile. Our client had an alternative vision to this style. She asked us to have them spaced like regular tiles. She went one step further: she went with extra-large spacers. She chose white tiles and dark grey grout. The extra wide grout lines with the contrasting grout create a great, dramatic effect. The kitchen has a 14 foot ceiling so there is a 2 foot space above the cabinets. We also tiled this area to match. The tradesman doing the tiling loved the idea. He jokingly referred to his technique for reaching around and over cabinets and duct work as “billy goat tiling” We laughed. It certainly was a fun project. The final result is a bright kitchen with a modern feel that works perfectly with a modern loft. 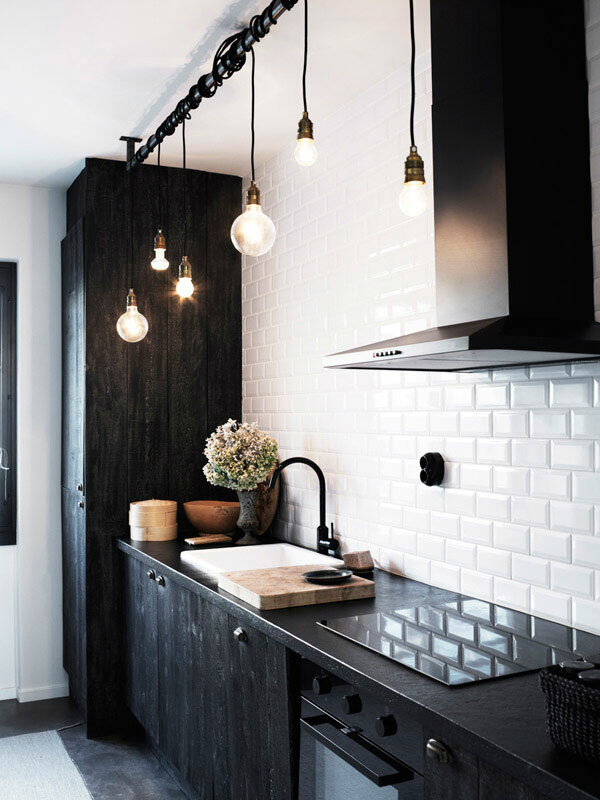 Posted in Uncategorized and tagged kitchen back splash, subway tiles, urban chic.